At 42, Edmond native and author Tammi Sauer makes her living thinking like a kid. More specifically, she makes her living imagining like a kid. She translates her fun, adventurous and wildly creative ideas into books that have delighted children. Her latest book, Your Alien, hit bookstores this month. 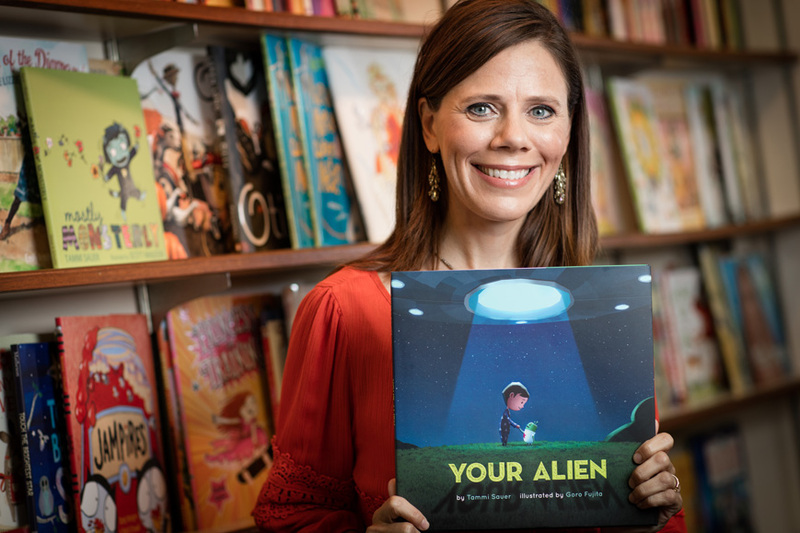 “I’d always wanted to write a picture book that starred a young, adorable alien. To come up with the plot, I asked myself the biggest two-word question I know: ‘What if?’ What if a little alien accidentally crash-lands in a boy’s yard? What if the boy wants to keep him? What if they have an amazing day, but when nighttime comes, the boy discovers something’s wrong with his alien? Each of these questions pushed me to consider what happened next. If one question took me to a dead end, I gave myself a detour. I simply asked a new ‘what if’ question,” she says. Sauer developed her love of writing at an early age while growing up in the small (population 2,018) town of Victoria, Kan. First, it was letters, and she still corresponds with a pen pal she’s had since she was 14. Later on, it was stories. But it wasn’t until college at Kansas State University that Sauer entertained the idea of writing children’s books. “My favorite college professor, Dr. Marjorie Hancock, told me I should. If she would have said, ‘Tammi, you’d make an excellent skydiver,’ I would have agreed to it. She’s one of those people who can make a person believe in herself,” says Sauer. Before becoming a full-time author, Sauer worked as a teacher and library media specialist. She harbors a deep commitment to get children to read and makes dozens of school visits each year to read her books to students. “After finishing one of my books, I want kids to be eager to read another book. If that next book is mine, great. If not, that’s fine, too. I would just like to play some small part in igniting a love for reading,” says Sauer. In July, Sauer enjoyed the highest compliment her hometown could pay her. Edmond Mayor Chuck Lamb proclaimed July 9, 2015, to be Tammi Sauer Day, coinciding with the release of her previous book, Ginny Louise and the School Showdown. Sauer is the author of 14 books. Her first, Cowboy Camp, was published in 2005. In 2011 she received the Crystal Kite Award for Mostly Monsterly and the Sequoyah Book Award for Chicken Dance. 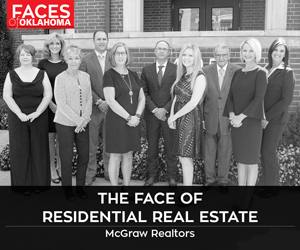 Other honors include the Donna Norvell Award and the Creative Women of Oklahoma Award. She’s also a three-time winner of the Oklahoma Book Award.